Ten Synonyms For The Act of Writing, or To Write. in your conversation or "writing" today? Yep, just me Cathy thinking out loud about descriptive words. 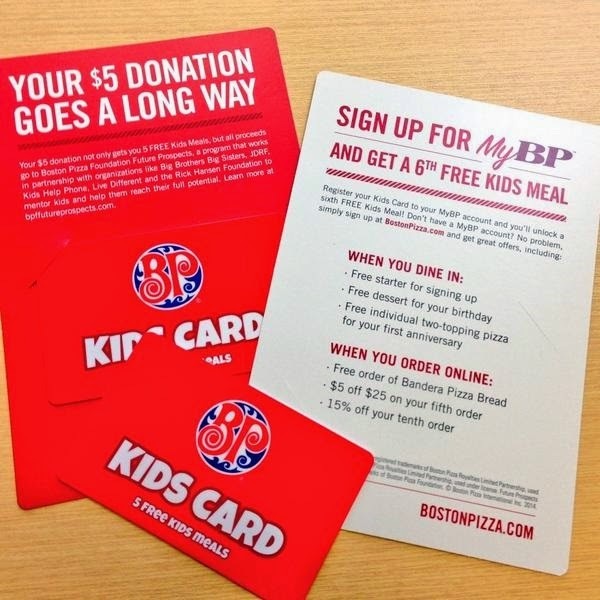 Saving money and a good meal for your kids couldn't be easier AND you look like a hero to your kids and all those that benefit from the Boston Pizza Foundation Future Prospects program. Hero for almost zero is what I call it! 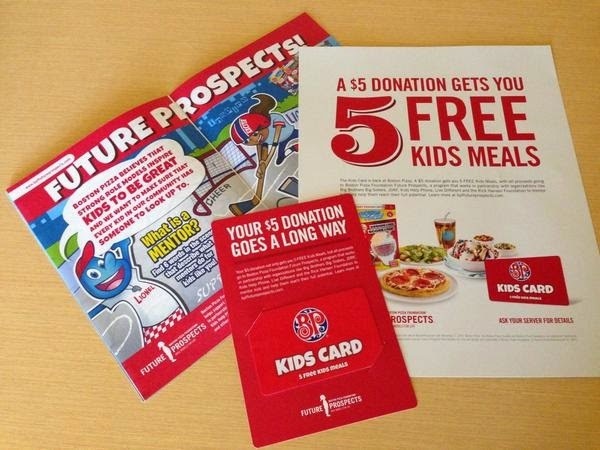 For a minimum $5 donation you get a Boston Pizza Kids Card good for 5 free Kids Meals ($35 value, some conditions apply). Donations go to help the Boston Pizza Foundation raise funds and awareness for organizations in Canada that help kids by providing role models and mentoring programs. Last year they raised over $615,000! but I think we can do even better this year! 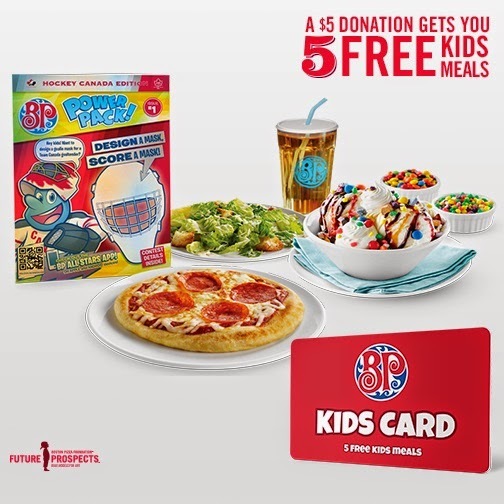 From September 22nd until November 2nd you can show your support by purchasing by way of a minimum $5 donation (feel free to donate more if you are able) a Boston Pizza Kids Card either at your local Boston Pizza location or online at Boston Pizza.com. If you register your card you get an extra meal bonus! Yes that is 6 meals in total! Note: I have not been compensated for this post in any way. The purpose of this post is merely to share this campaign and an opportunity to win a BP Kids Card with my readers. I regularly have conversations on social media and in real life with friends and family about which TV shows, or movies are good to watch. So I thought why not share these recommendations on Cathy Thinking Out Loud once a week, on Wednesday (aka #W2WW). Please share yours in the comments section! 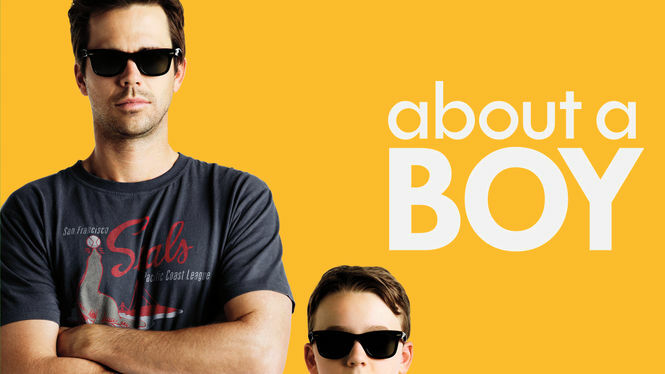 This week I am recommending a new series added to Netflix Canada based on Nick Hornby's novel About A Boy. I loved the 2002 movie so I was pretty excited to learn of the series. Although the story line and setting are a bit different in the series the basic premise is the same. It's cute, touching and funny; all the things I look for in a show. My teens thought it was pretty funny too! Only 1 Season (13 episodes) so far but I sure hope they add more! 5 Words Beginning With the Letter "K" That Are Commonly Misused, Confused or Misspelled. This post was brought to you by the letter "K". Knave: "An unprincipled, crafty fellow, Dishonest man, rogue". Kudos: "Acclaim or praise for exceptional achievement." Interesting Note: Kudos is the singular form of the word although many mistakenly use it as a plural form. Kitsch: "Excessively garish or sentimental art, usually considered in bad taste". Karat: "US and Canadian measure of the proportion of gold in a alloy, expressed as the number of parts of gold in 24 parts of the alloy. Also spelled Carat in Britain and certain other countries." Carat: "A measurement of the weight of precious stones esp. diamonds. International Carat is 0.20 grams." Caret: "A proofreading symbol (^) used to indicate where something is to be inserted in a line of printed or written matter." Carrot: A plant, that "the usually tapering elongate, fleshy orange root of this plant, is eaten raw or cooked". Kernel vs Colonel: A kernel is "a grain or seed, as a cereal grass enclosed in a husk" whereas a Colonel is a military rank that in the US and Canadian Forces is the highest rank of senior officer", but "junior to a Brigadier-General". Yep, just me Cathy thinking out loud about the letter "K". Repurpose all those return envelopes for bills, charitable donation requests, credit card offers you get in the mail. We all get them, no matter how hard we try to stop or limit them from reaching our mailboxes; the return envelope for bills, charitable donation requests, credit card offers. I'm always trying to think of ways to reuse or repurpose items instead of, or before recycling them. These used to go straight in the recycle bin, but then I started using them to sent authorization forms, order forms and payments for school field trips, and pizza days to teachers instead of a new envelope or ziploc bag. 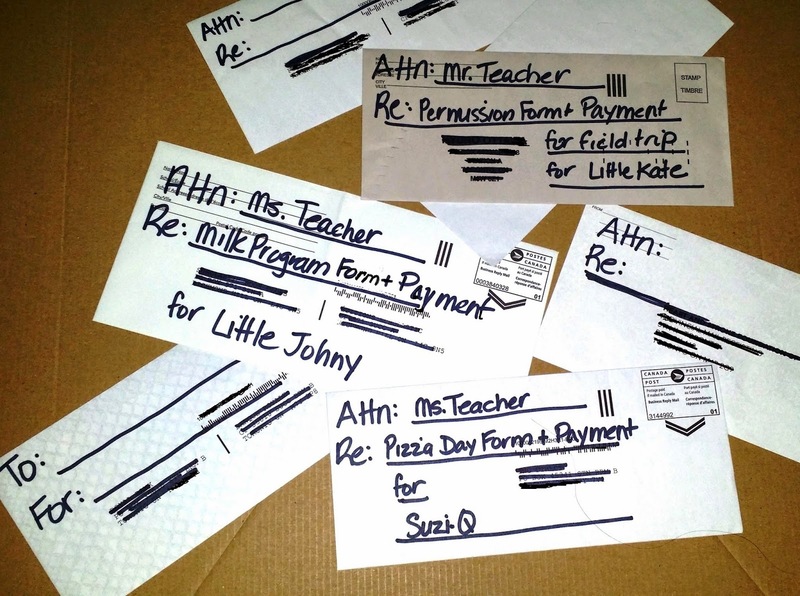 Okay maybe they're not as pretty as a new envelope, but they do the job of keeping payments and authorization forms together, information private, and make it easy for the kids to hand to their teachers. If you need pretty try using a pink marker instead. They reduce the use of new paper envelopes or ziploc bags, save money, serve a purpose before the teacher recycles the paper, and are better for the environment. BONUS: It's a great way to teach your kids by example how easy it is to be green by Reusing, Reducing and Recycling. Recycle and Green Ideas Pinterest Board. Do you have ideas about being green? I'd love it if you shared them with me in the comments section. 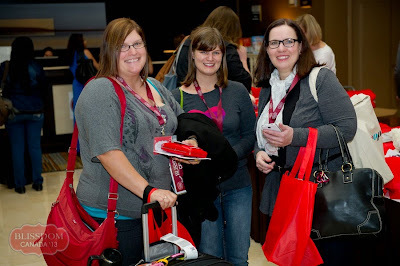 Blissdom CA 2014 is fast approaching and I am feeling much more confident than last year. BlissdomCA 2013 was the first blog conference I attended and having been blogging for a whole three months I was more than a little intimidated and green as you can see from my post Blissdom post Reflections ... Did I find my Bliss? 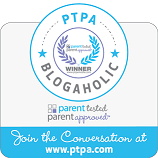 It's more than a year later and BlissdomCA 2014 will be my third conference; I have written 204 posts for Cathy Thinking Out Loud, 8 posts for PTPA Blogaholic posts, and several guest posts on other blogs. I'm feeling much more confident going into this Blissdom Conference having Conference #2 Under My Belt. I have a better idea how to prepare for, what to expect and how to manage my expectations so I get the most out of this experience. 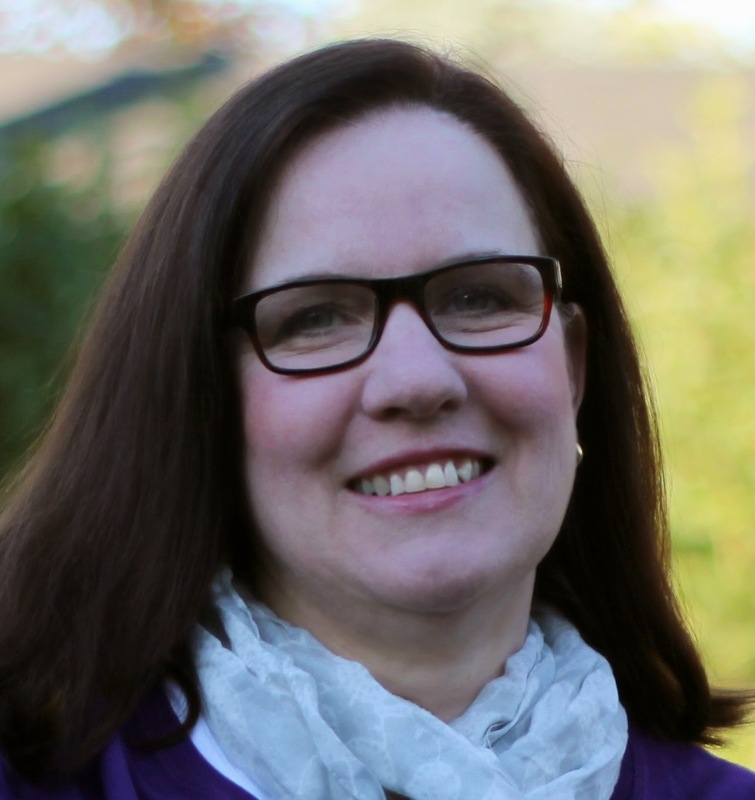 I actually wrote this post a year and a half ago, and in April 2016 will be attending my 6th conference BConnected Conference in Ottawa, but all the resources are still Worth the Read. I can tell you the prospect of attending a conference where I had only met a few of the attendees in person was more than a little overwhelming. 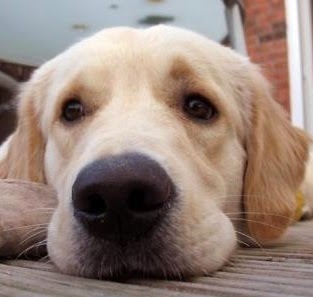 To make matters worse my avatar was a picture of my dog so no one actually knew what I looked like. Tip #1: Share a picture of yourself prior to the conference so people know what you look like. Speaking from experience, this really is important, especially if this is your first conference, you don't know other attendees, or you're a introvert. Tip #2: Get business cards! and make sure that the font is large enough for people to actually read! Below you'll find some posts and resources for preparing for, and getting the most out of your conference experience I think are Worth the Read. I hope they shed some light on the 5 W's (Who, What, Where, When, Why) and the H (How) of blogging conferences. Knowledge is power, and being prepared is your best tool. Hopefully it will give some newbies bloggers the courage to attend a blog conference. No need to limit this reading to newbies; I know that this old dog can learn new tricks and think we can all benefit from these resources. BlissdomCA is mentioned because it's the next blogger conference I'm attending, but the resources and posts linked here provide excellent information that is not limited to any one blogger conference or even any one type of blogger conference. If you find yourself at a conference I'm attending please say hi and introduce yourself. I would love to meet you IRL (in real life). Well September is here and my kids are back at school and working hard at their last year of high school. The learning curve is steep this year. Besides the academics, there are many lessons to be learned before they head off to post secondary lives of college, university or jobs. There are life lessons to be learned, and skills they will need as they go forth and discover the world. My job as a parent is to help provide the tools for this learning, and I have always believed you must go beyond the books for some lessons. A movie or show can often be the perfect way to supplement their learning. When my kids were younger it seemed a bit more straight forward. They focused on the ABC's and 123's. Their day was filled with learning to read, count, wait their turn and share. 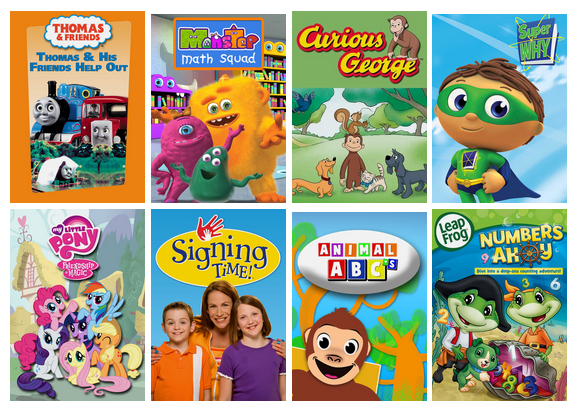 Below are a few great shows for those of you with younger kids struggling a bit, or they provide a fun way for kids to get extra practise. The older kids are not always as easy to communicate with, and they are not always willing to share their school day and experiences. As they struggle for independence, acceptance, and learn to navigating the school social scene a movie or a show can help to bridge the communication gap and help to find common ground. 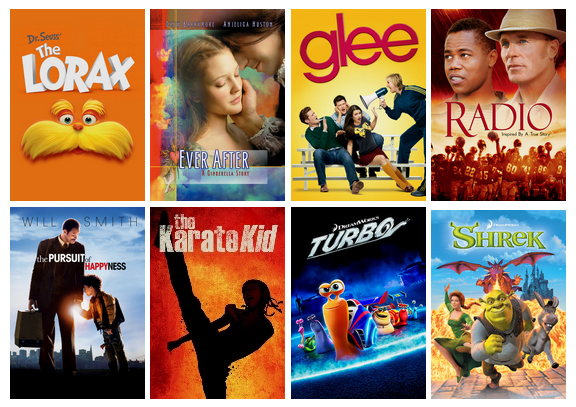 Try watching some of these shows or movies together and then strike up a conversation about what you watched. Talking about a subject without actually talking about yourself or your child may help to put both of you at ease. Plus, there are important lessons about tolerance, empathy, and integrity that can be learned by the both of you. I highly recommend The Pursuit of Happyness. Don't forget about all the many documentaries you can find on Netflix Canada that can give your child some insight into possible career paths, setting goals, entrepreneurship, and advocacy skills. Be sure to check out the TEDTalks Collections on Netflix. We can't end without first talking about the importance of teaching kids about good nutrition and healthy snacks and lunches. I think both of you will love this cream cheese and veggie sandwich. Why not get in the kitchen and make the sandwiches together, then enjoy them while watching one of these movies or shows. I regularly have conversations on social media and in real life with friends and family about which TV shows, or movies are good to watch. So I thought why not share these recommendations on Cathy Thinking Out Loud once a week, on Wednesday (aka #W2WW). Please share yours in the comments section! I am happy to announce that one of the series I have previously recommended has had new episodes added! Season 4 (16 episodes) has recently been added to Netflix Canada for your viewing pleasure! Enjoy and don't forget to tell me what you think! I am so excited to see another season (Session 4 - 16 episodes) has been added to Covert Affairs! I see a streaming marathon in my future! When Describing Feelings and Emotions. 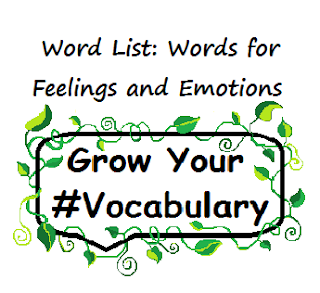 The Word List below includes ten words to describe emotions that you may not have heard of or used before. 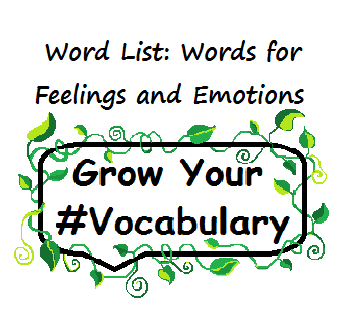 Why not grow your vocabulary and try using them in your conversation or writing today? Jubilant: "Feeling or expressing great joy". Jovial: "Marked by hearty conviviality and good cheer". Bereaved: "Having been deprived of something or someone valued, especially through death". Morose: "Suddenly melancholy, gloomy, ill-tempered". Bristling: "To react in an angry or offended manner". Belligerent: "Inclined or eager to fight, hostile or aggressive". Aversive: "Causing avoidance of a thing, situation or behaviour by using an unpleasant or punishing stimulus". Solicitude: "A state of solicitude, causes anxiety or concern, an attitude of extreme attentiveness". Penitent: "Feeling or expressing remorse for one's misdeeds or sins". Rueful: "Causing, feeling or expressing sorrow or regret". Did you learn any new words from this post? Identity Theft is a Crime of Opportunity. Don't Give Identity Thieves the Opportunity by Stockpiling Papers Containing Personal Information. Opt to Shred Instead. I'm not sure whether it's my age, having been born in that nowhere land I like to refer to as the "generation gap". Those of us born at the end of the Baby Boom, sandwiched between the true boomers who have already downsized in preparation for retirement, and the Gen X and Y'ers who are wired connected and paperless. Maybe it's because I come from a banking background, before the days of online banking and paperless statements. 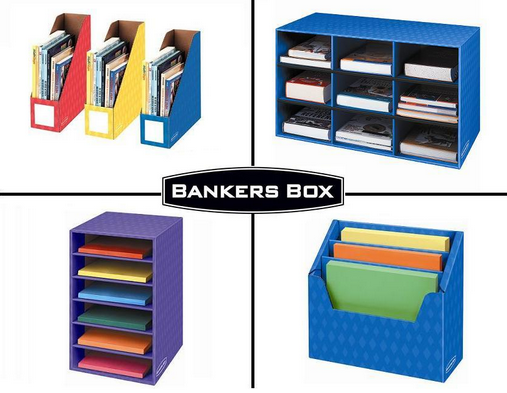 Documents and cancelled cheques (Gen Y'ers will have to Google that) were all filed in banker boxes and labelled to be held until year of destruction (12 years back then as I recall). Either way the practise of saving all my receipts, statements, cancelled cheques and warranty forms, just in case I ever needed them became the norm. I know I'm not alone, since I have had many conversations over the years with people about how long and exactly what we need to keep. The notion that we should keep all these in case we ever need them, has turned piles into shoe boxes, and shoe boxes into banker boxes of receipts, and statements. I'm pretty sure I will never need the 1982 receipt for gas I paid cash for, so why do I still have it? Then along came kids and crazy busy lives, and the years passed, until the boxes were moved to a corner of the basement or garage or storage unit. There they stay for years collecting dust. Warranties on appliances we no longer own, cancelled cheques and statements for accounts closed years ago. Sound familiar to any of you? All those papers with addresses, names, signatures, and personal information on them. I married an engineer who works in hi-tech, and fiercely guards his privacy both online and off. We have spend hours talking to our kids and setting rules about Internet usage and protecting their privacy and information online. All the while a paper trail of information sits in a box. Surely "the box" deserves as much attention as the credit card offers we receive in the mail and shred on a daily basis. Clearly it is time for a change people! So with the help of the Fellowes Canada and their Powershred 63 Cb Cross-Cut Shredder I'm ready to turn over a new page on protecting my personal information against Identity Theft. I'll start by saying goodbye to that box, and going forward following their Top 10 Documents You Must Shred. Jam Blocker: blocks jams before they start. SafeSense Technology: stops shredding when hands touch the paper opening. Energy Savings System: ensures optimal energy efficiency. Comes with a 5 gallon pull out bin. Personally energy efficiency is a must when I'm looking at purchasing a new product, so I love the Energy Savings System. My Hubby was impressed with the SafeSense Technology, and how it worked. But lets face it at the end of the day it just has to work so the Jam Blocker and the fact I can shred expired credit cards are what sealed the deal for me. 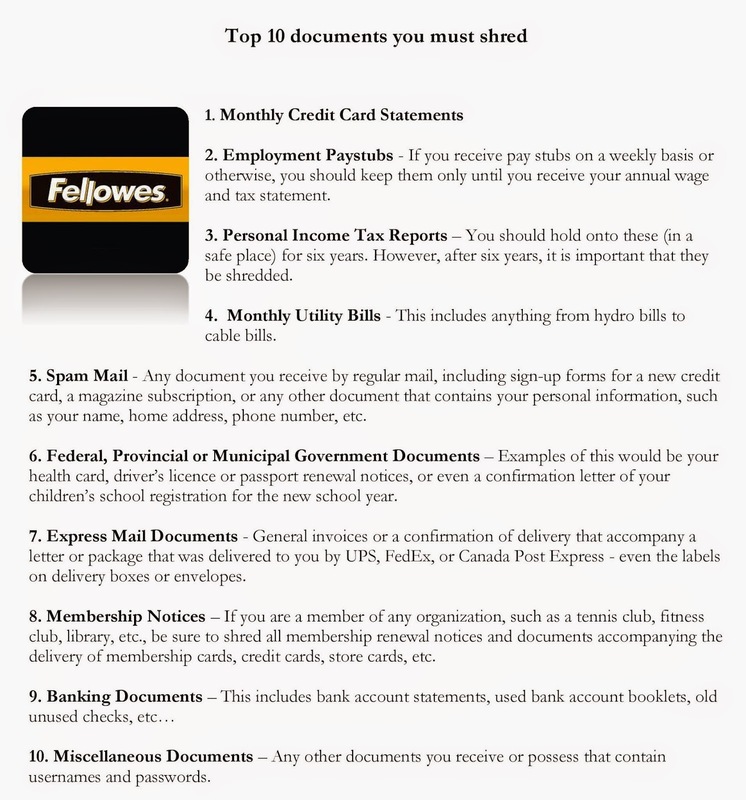 The Fellowes Canada site has great information about What to do if you fall victim to Identity theft!, Identity Theft: How it Works and Information Identity Thieves Want as well as tips on How to Select the Best Shredder. Or follow Fellowes Canada on Facebook or Fellowes Canada on Twitter and the hashtag #FellowesProtects. 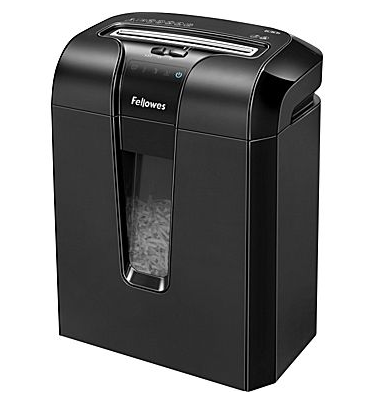 You can find the Fellowes PowerShred 63Cb Cross-Cut Shredder at Staples Canada. 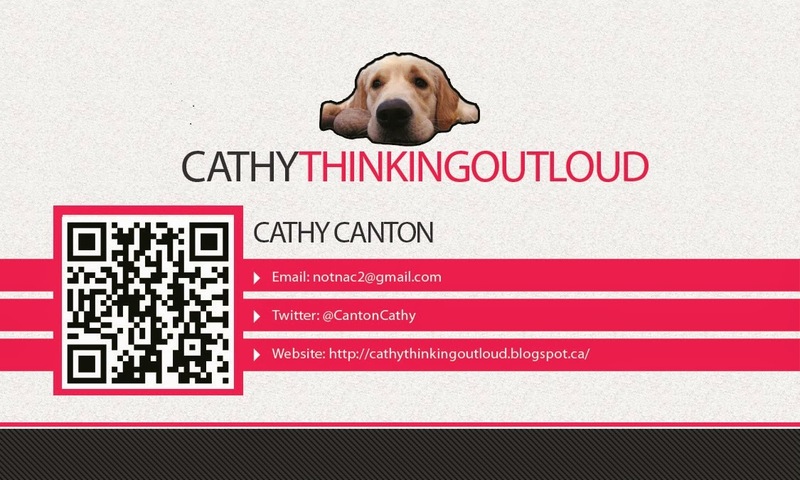 Yep, just me Cathy thinking out loud about protecting my personal information and fraud prevention. Note: I received a Fellowes Powershred 63 Cb Cross-Cut Shredder free of cost for the purpose of this review. All opinions are my own and reflect my personal experience with this product and brand. Five words commonly misused, confused or misspelled. Jalapeno: (ha le pein yoh) "a hot green or orange-red pepper". Jewellery vs Jewelry: Jewellery is the British spelling, while Jewelry is the American spelling. Both are correct. Jibe vs Jive: Jibe is a sailing term, and can also mean to be "in accord, agree, harmonize". Whereas Jive is a type of music, a dance, and slang for "teasing and exaggeration", or to "fool, be insincere or deceptive". Just Deserts: The term correct term is Just Deserts and dates back to the 1300's, from the root word deserve. It means gets what one deserves (either good or bad), or "an out come in which virtue triumphs over vice (often ironically)". The term has nothing to do with sweets, but the confusion seems to come from the fact that desert and dessert in this case are pronounced the same. The term Just Desserts is often used in reference to food as a play on words, and in that case Just Desserts is correct. Judgment vs Judgement: The proper spelling is judgment, and means "a determination of a court of law, or judicial decision". That being said, Judgement with an "e" has become very common and an accepted spelling when used in a non-legal context. Yep, just me Cathy thinking out loud about the letter "J". I regularly have conversations on social media and in real life with friends and family about which TV shows, or movies are good to watch. So I thought why not share these recommendations on Cathy Thinking Out Loud once a week, on Wednesday (aka #W2WW). Please share yours in the comments section! This week I have a comedy series for the adults to watch while the kids are busy with their back to school homework. You can find it on Netflix Canada. 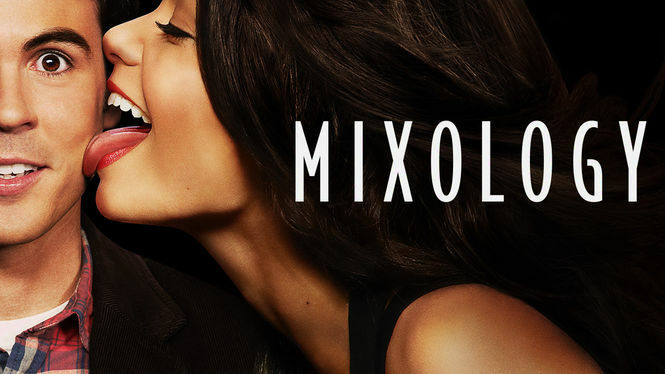 Okay this comedy series is not to be taken too seriously, and is definitely not a show to watch with the kids, but I watched all of season one, and sure hope there are more sessions to follow. I have been lucky in my lifetime to have had the opportunity to do quite a bit of travelling. I would conservatively guess I have flown on at least 100 planes. I have also clocked many kilometres on road trips to PEI, Florida, Mrytle Beach, Boston and Washington DC. A summer road trip has become tradition in our family, as has my twice a year shopping trip with my girlfriend. So it is pretty easy to see why I'm excited to check out the Rise Gear Jumper. Rise Gear is a Canadian company who designs their patent pending unique packing system. You may have seen Lee and Sean on Dragon's Den. If not take a look for yourself. I will admit I tend to over pack. I'm not sure if that is the Mom in me that needs to be prepared for all things, but whatever the reason it is true. I am not looking to pack less (although granted it is a good idea), I am looking for ways to pack better, and the luggage I choose has to "Rise" to that challenge. Luggage is an investment, so just like the Dragons I need a good return on my investment including quality construction, a good price point, user friendly packing, and more importantly easy functionality at my destination. Putting my belongings into a hotel dresser drawer is NEVER going to happen. Either I have things in a million ziplock bags or my luggage is chaos after a day or two of rummaging through it looking for the items I want. Clothes are wrinkled and using a hotel iron (assuming there is one in the room) is a pain. When I first saw the Rise Gear Jumper I couldn't believe what a clever and easy solution their portable closet was. It's a lightweight hanging bag with built-in shelves that makes both packing and access to items a cinch. It keeps your clothes from being wrinkled, and best of all the entire thing hangs in a closet, meaning your clothes never have to touch a dusty hotel drawer. It really is a packing system disguised as a carry-on. Photos from Rise Gear site. The Jumper comes in three colour options and can be used stand alone or in one of your existing bigger pieces of luggage. 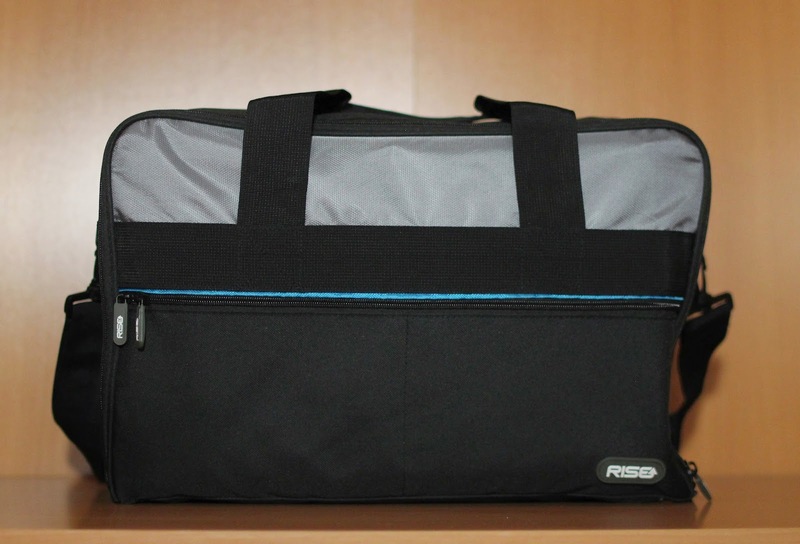 Also available is the bigger Rise Gear Roller, which offers the same great hanging shelves in a larger duffle bag style. Photo via Rise Gear site. First, it is carry-on regulation size, and has a slot to attach it to the handle of your roller luggage. It is well designed and made with quality zippers and materials. It has three shelves that make dividing, packing and getting to my clothes easy. The hangers are sturdy, and when hanging there is a small zippered compartment on the top and an extra large at the bottom, which to me = options. 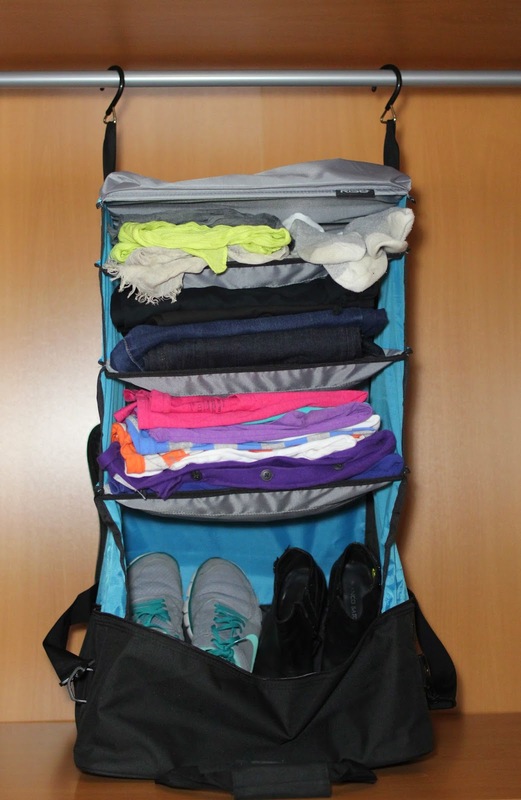 It can easily accommodate several days of clothes and travel necessities, or is perfect to pack and organize clothes in a larger suitcase with shoes, and toiletries packed around the Jumper, which to me = options. I love the fact it hangs and that none of my clothes need to go into dusty hotel drawers or shelves. I like clever design, so such an uncomplicated solution to common packing issues appeals to me. I would love to see a carry-on sized wheeled Jumper. My only real dilemma is whether after I use it for Blissdom a blog conference in October (which it will be PERFECT for), do I keep it for myself, give it to my snow bird parents (perfect for hotel stays on the drive to and from Florida), or give it to my sister who travels for work? Keep it for myself of course, and get them their own for Christmas! 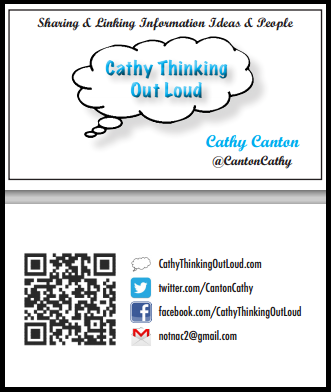 Yep, just me Cathy thinking out loud about luggage and packing better. Note: I received a Rise Gear Jumper free of charge for the purpose of this review. All opinions are my own and reflect my experience with this product and brand. Below you will find ten words to describe one's character that you may not have heard of or used before. 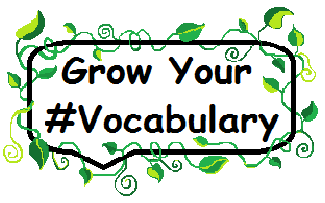 Why not grow your vocabulary and try using them in your conversation or writing today? Bumptious: Offensively self-assertive or conceited. Craven: Characterized by object fear; cowardly. Didactic: Inclined to teach or moralize excessively. Erudite: Having or showing extensive scholarship; learned. Haughty: Scornfully and condescendingly proud. Mulish: Stubborn, recalcitrant, obstinate, headstrong. Obsequious: Obedient or attentive in an ingratiating or servile manner. Irascible: Prone to outbursts of anger; easily angered. Ribald: Characterized by indulging in vulgar, lewd humour.